Biogen and partner Eisai are ending two late-stage trials for the experimental Alzheimer's drug aducanumab. The move is a setback to efforts to find treatments for the disease and also hit Biogen's stock, which lost more than $17 billion of its value today. 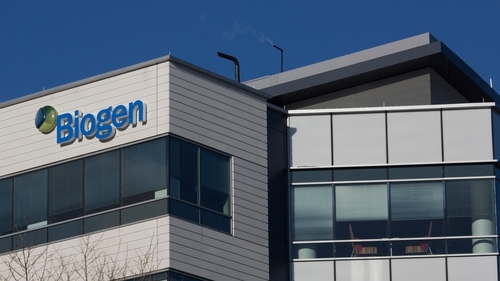 Shares of Biogen sank 27% to $233.98 in US trading, its largest drop since August 1, 2008 when it fell 28%. Investors believe the successful development of a treatment for Alzheimer's will result in multi-billion dollar annual sales. But still-experimental treatments have had a dismal track record, with more than 100 failures. The decision to discontinue the trials was made after an independent data monitoring committee reported the drug was unlikely to be successful, the companies said. The recommendation was not based on safety concerns, they added. The company had two trials, Engage and Emerge, that were testing aducanumab in patients with mild cognitive impairment due to Alzheimer's and mild Alzheimer's disease dementia. The trials ended just two weeks after Eisai's chief executive had expressed confidence in the drug. "I believe we have already gone through the riskiest stage," Haruo Naito had said at a news briefing earlier this month. Both Eisai and Biogen, which have collaborated on the development and commercialisation of the drug, said they would continue to work on Alzheimer's treatments. "This disappointing news confirms the complexity of treating Alzheimer's disease and the need to further advance knowledge in neuroscience," Biogen's chief executive Michel Vounatsos said. "We will continue advancing our pipeline of potential therapies in Alzheimer's disease," he added. Big drug companies, including Eli Lilly, AstraZeneca, Roche, Pfizer, Merck and Johnson & Johnson, have all previously abandoned Alzheimer drug trials over lack of effectiveness or due to safety concerns. The two companies also said they would discontinue a mid-stage study and a long-term extension study of aducanumab, which was designed to target the brain-destroying protein beta amyloid. They are still assessing whether to conduct a separate aducanumab late-stage prevention trial.